Caritas is responding to a devastating landslide in Mocoa, south-west Colombia, which has left at least 290 people dead, over 300 still missing and 200 injured, in the worst disaster of its kind to hit the country since the 1980s. The landslide has destroyed over 300 homes in the city of Mocoa in Putumayo department, close to Colombia’s southern border with Ecuador. Residents were engulfed by “rivers of mud” as they lay asleep in bed. The local government has declared a state of emergency. Five out of the 17 neighbourhoods of Mocoa have been reduced to rubble, as rescue teams search for those who are still missing. Five days after the event, however, the fear is that few if any will be found alive. Many roads and bridges have been damaged or destroyed, making access difficult. The electricity has been out and the city’s aqueduct has been affected. Services at the local hospital are “at the point of collapse” according to Caritas Colombia, overwhelmed by the sheer numbers of wounded and traumatised people. The more seriously wounded are being evacuated by air to nearby towns. 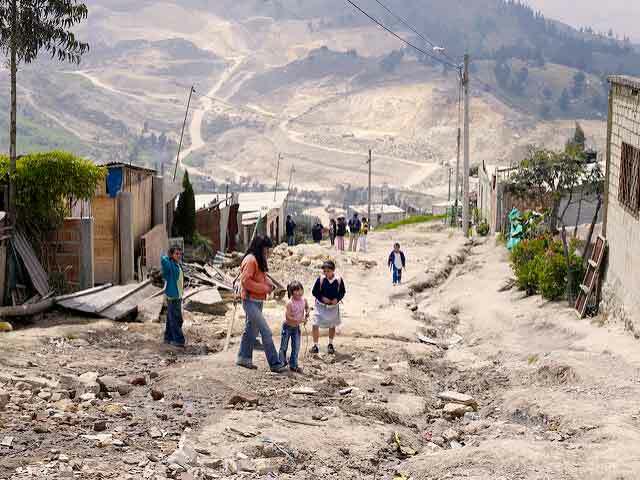 Monseñor Hector Fabio Henao, Director of Caritas Colombia, said: “We are in constant communication with the affected areas where the scale of the tragedy is becoming ever more alarming. We have a local team on the ground led by the local Diocese and have sent two specialists to the region to support them. We are also working closely with others to coordinate our relief efforts. Caritas is coordinating with a number of other organisations at a crisis centre which has been established in Mocoa along with eight shelters for more than 2,600 people who have been left homeless. Caritas is setting up a national appeal for funds to help the stricken area, while the local diocesan team is doing everything they can to offer practical and pastoral support.